The Victoria Collection is an updated rendition of Victorian Era Furniture. Detailed and elegant, with a parlor presence. 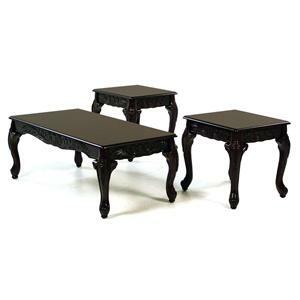 This group of three tables completes the Victoria Living Room Collection with the mirrored image of the carved wood base, making them the perfect match to compliment your living environment.